Interested in installations? If you haven’t checked out our DesignTO Festival Schedule yet, head to our website and see what’s in store for 2019! There are so many things to see, but only 10 days to see it all. This year is the biggest festival yet, so to help you plan we’ve put together a list of a few of the coolest installations to see at DesignTO this January. South Hill Home has commissioned Vancouver-based lighting designer Matthew McCormick to create an immersive showroom window installation for DesignTO. Aesthetically minimal yet full of movement and sensuality, ‘EFFERVESCENCE’ is a bespoke installation that features McCormick’s celebrated Halo light. 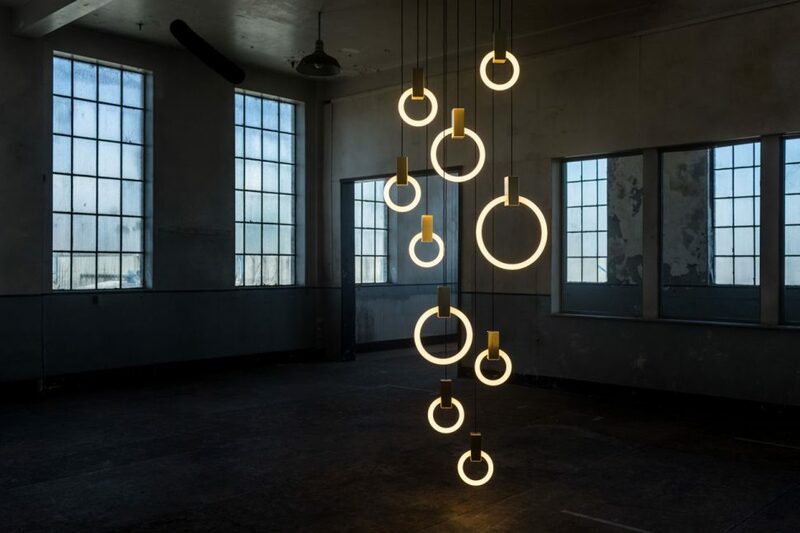 The SHH collaboration, located at 146 Dupont Street in the charming and historic South Hill District of Toronto, the installation will feature a series of pendants cascading from ceiling to floor creating the illusion of playful, dancing bubbles. 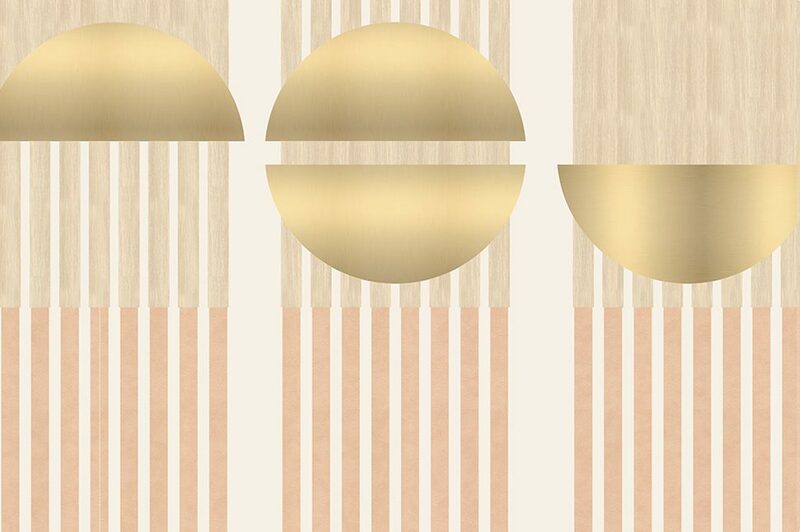 Originally conceived as a graphical interpretation of effervescence, the Halo series is a bold family of lighting fixtures inspired by the golden bubbles floating in an Italian prosecco. Using softly curved edges and organic forms, SHH curates an installation that is whimsical and engaging with notions of both weightlessness and mass. Not a reality perceived — but a reality imagined. 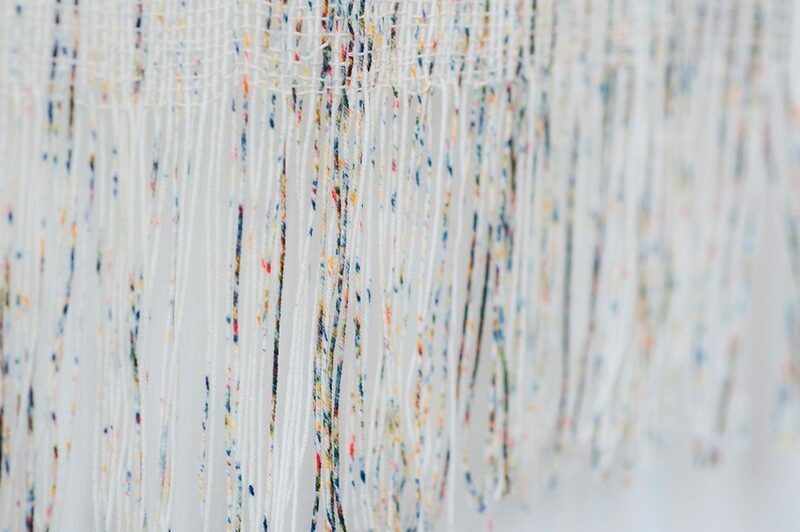 Derrick Piens’ current studio practice considers the continuous process of transformation that all materials and objects undergo throughout time. Working at a variety of scales, his sculptures are amorphous and abstract, alluding to a perpetual state of change. Using geometry to create a geomorphic form, ‘Dissipate Like a Cloud or Smoke or Wintery Breath’ captures the fleeting moment when an expanding cloud or plume of smoke takes on an anthropomorphic shape. 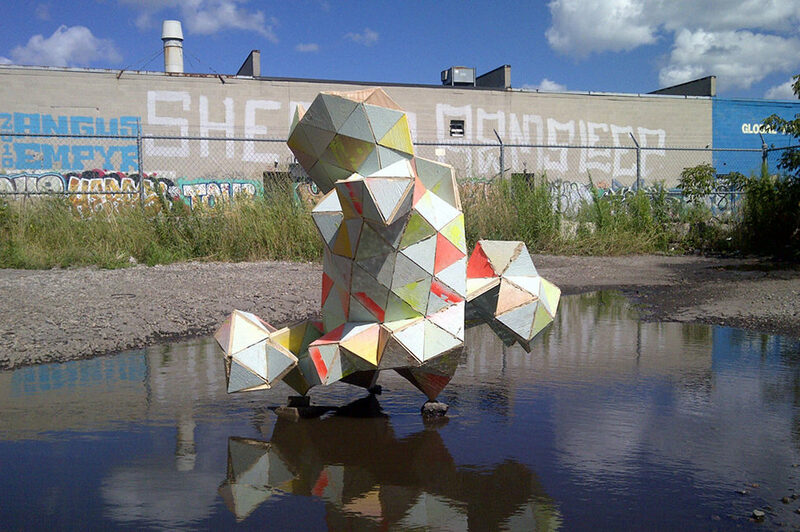 This colourful and vibrant sculpture aims to give a sense of lightness, vitality and energy. As an artist, Derrick is most interested in the evocative qualities of colour and their ability to communicate and enrich the viewer’s understanding of works of art. 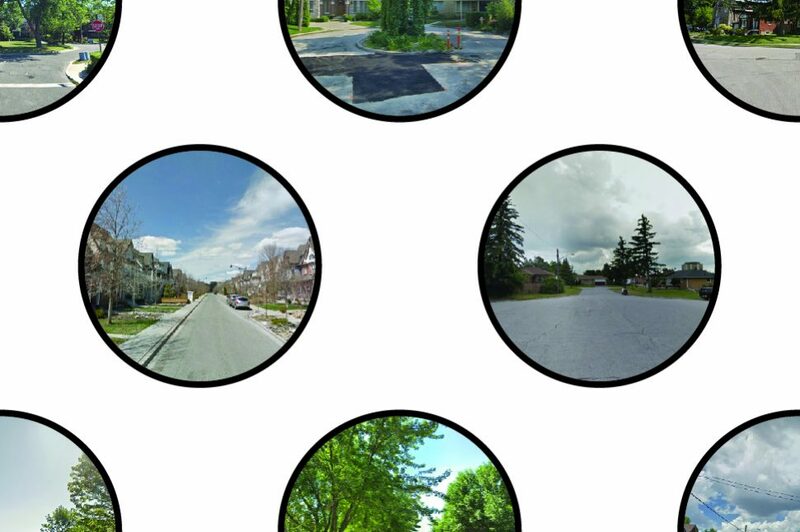 ’49 Circles’ is a visual representation of Toronto streets that are classified with the suffix “Circle.” The piece explores the relationship between the realities of landscape, lapses of perception and the power of names. The disconnect between these three elements are more often imperceptible. While travelling, slight turns, dead ends and preconceived notions of space belie the true nature of the anthropo‘scenic’ route. A global map in everyone’s pocket has increased the primacy of cartography in our everyday lives, while also desensitizing us to the inbetweens of our journey. Change and transition, for some, comes with a deep sense of unease. In these unsettled moments, the default behaviour for creatives is to turn to their hands and start compulsively creating as a way through. The making isn’t a hobby, or a way to pass time, it’s a near obsessive act of exploration as a means to find clarity of mind. Counsel’s inaugural show invites visitors to explore the artifacts that come with this compulsion to create and design in times of uncertainty. 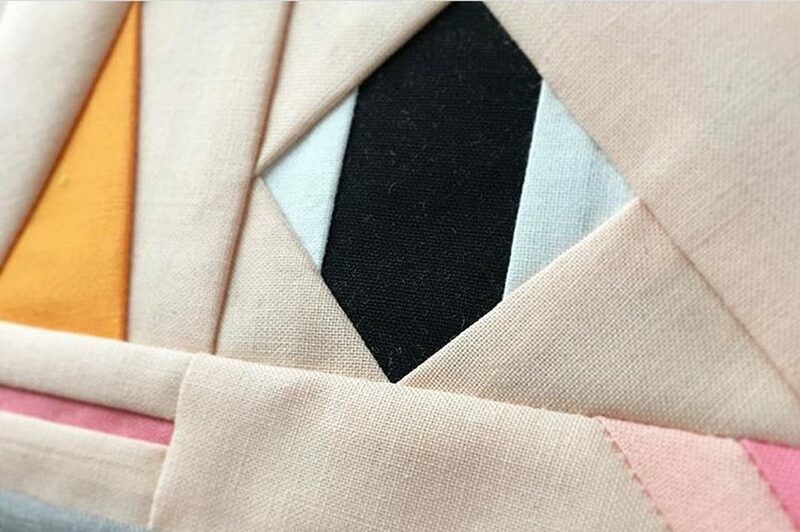 The show explores the work of three women, at three distinct crossroads, and the habitual, ritual, meditative making—making with no purpose in mind, no audience, no explicit intention—that serves as a way of progressing through processing restlessness, anxiety, uncertainty, sadness and worry. As the show is about process, the work is both finished and unfinished, by design. Each piece marks a moment of progress and motion, even understanding and wonder. What can feel like “purposeless” making can turn out to be a journey through exploring our relationships with the ordinary, the routine, the ego, our identity, and our purpose. The things that get made become expressions of this process, loaded with the wayfinding needed to get us to where we need to be next. Click here to check out other 2019 DesignTO installations.